Since she was a little child, she enjoyed feeling the wind hit her face. Any breeze or stronger wind, she’d run outside, stretch her arms and open up her chest in order to feel the moving air touching her skin, making her hair dance, cleansing her. Then one day, out of a sudden she realized she couldn’t feel it anymore. How could this be happening? 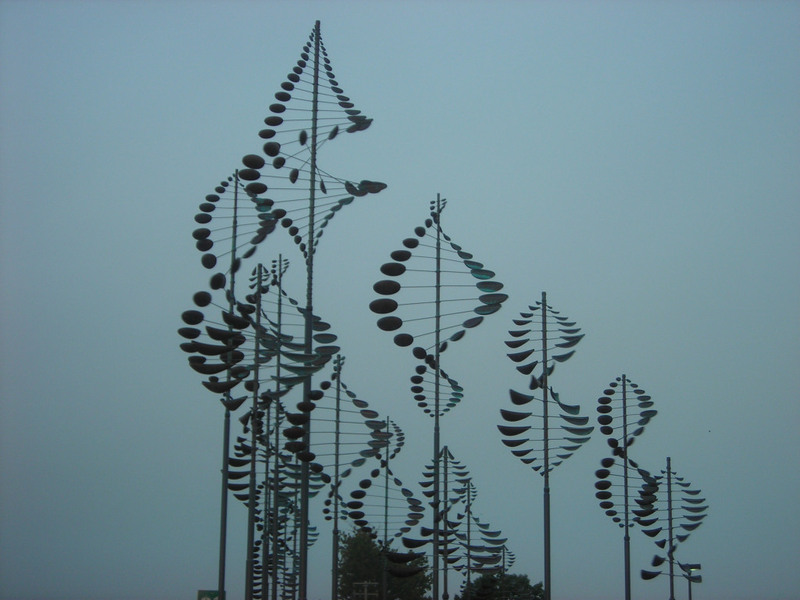 She decided to put up wind mills, and turbines, and chimes. She was desperate, so she kept adding stuff in her backyard that could help her feel the wind again. She could see it now. And hear it too. But still no feeling it on her face. One day, a hurricane came. She didn’t think twice. As soon as the deadly winds hit her house, she went outside and spread her arms again to receive it. She floated away, flying freely and happily for finally being able to feel the wind again. No one ever saw her again, but now every time the wind picks up speed she’s remembered as the wind girl, and her tale is told while people snuggle safely inside. This post was written in response to the Sunday Photo Fiction – December 31st 2017, with photo courtesy of Jules Paige. For more posts inspired by the picture, click the blue frog below. This post was written in response to the FFfAW Challenge-Week of January 2, 2018 , with photo courtesy of J.S. Brand.